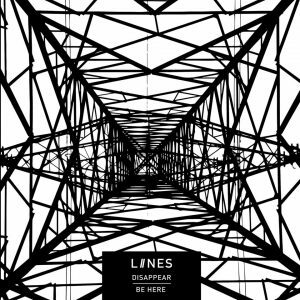 On behalf of Reckless Yes Records we’ve been working on the single and tour campaign for Manchester post-punk trio LIINES. Out now digitally and on 7″ vinyl the double-A of Disappear and Be Here is the band’s first on a physical format and for Reckless Yes, who also handle their management. You can buy the single in either format here. 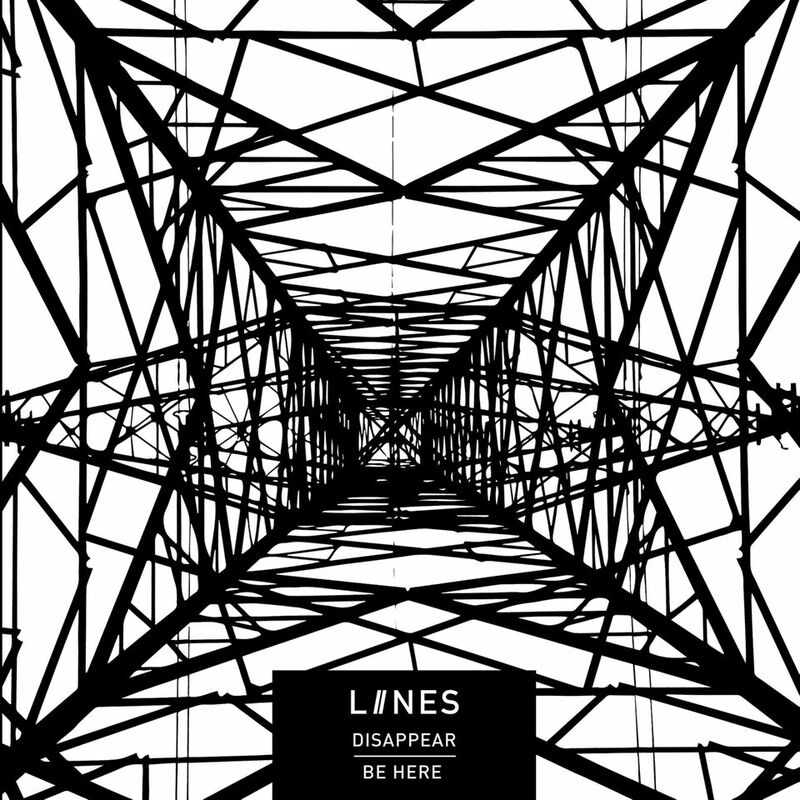 “The raw vocals and deliberately dissonant accents of Disappear give the song a heart-fluttering intensity, whilst Be Here provides a shout-along chorus. The two songs are different faces of the same coin, dark and bitter, made sharp by their simplicity. By keeping it simple, LIINES extract the maximum amount of power from their songs. 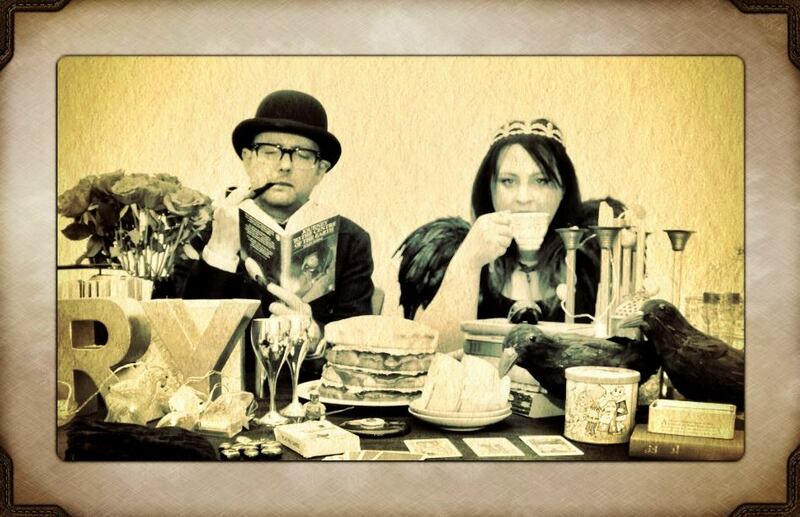 The anger in both tracks is palpable, and the tunes are sure to be a live favourite.” – Are We Alive? Local press from Manchester Evening News and Bury Times. Radio play on John Kennedy (Radio X), Shell Zenner (Amazing Radio), Charlie Ashcroft (Amazing Radio), The Rumble (Radio Andra), The Wildcard Show (FCUM Radio), Unsigned Radio Guide (Amazing Radio), Get In Her Ears (Hoxton Radio), Morphettes podcast, Music Is My Radar. Online promotion via Scruff of the Neck, We Are LIINES, Reckless Yes. Previous press coverage and other information is on the LIINES website. On behalf of Reckless Yes Records we’ve been working the launch campaign for the debut album from death surf trio Unqualified Nurse Band. Out now digitally and released by Reckless Yes on ltd coloured vinyl on 14 October 2016 the online press and radio campaign has garnered high praise for the band and the album. 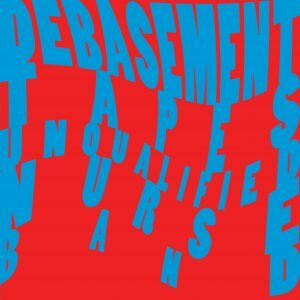 You can order your vinyl copy of Debasement Tapes from Reckless Yes now or find it digitally via Unqualified Nurse Band’s Bandcamp page. 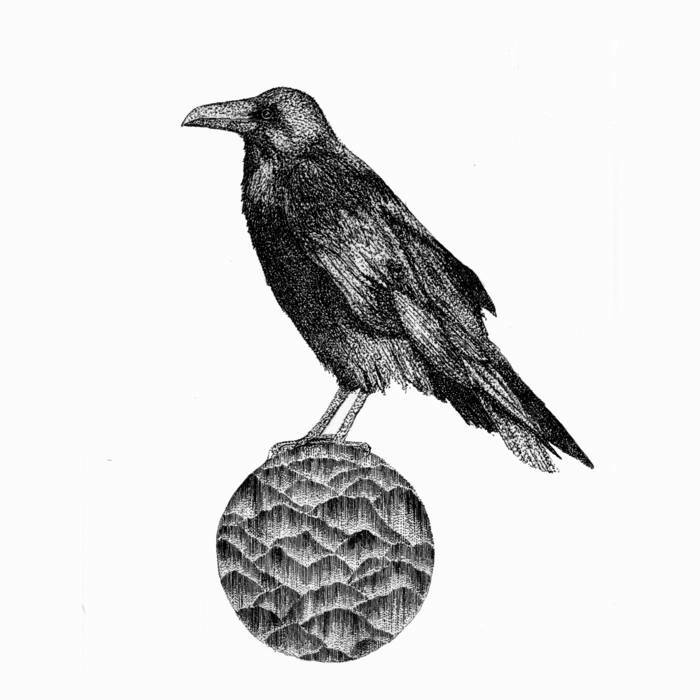 The new album from Great Raven, Magnetic Smoke, is out today on NGland. You can order this very special album via the band’s Bandcamp page – available either as a download or a limited Cdr in handmade origami sleeve with artwork by Tara Hill. A concept album of sort the album charts a person’s changing disposition from sunrise to nightfall on a Summer Solstice. It’s influenced by the works of Laurie Anderson, Arthur Russell, Meredith Monk and Karen Dalton. 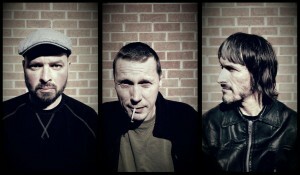 Find NGland on Bandcamp, Twitter and Facebook. We’re pleased to announce that Great Raven have joined the Noble and Wild roster ahead of the release of album Magnetic Smoke. The album, released on 21 June, charts a summer solstice from sunrise to sunset and tells the story of a person’s changing disposition during that time. Influenced by Laurie Anderson, Arthur Russell, Meredith Monk & Karen Dalton and from a love of albums including Todd Rundgren’s ‘A Wizard A True Star’ and Van Dyke Parks ‘Song Cycle’, Great Raven are Daisy Temple and Antronhy. Released on NGland Records limited edition individually numbered CD-Rs in origami sleeves and digital download it will be available from http://ngland.bandcamp.com from 21 June 2016. Reckless Yes Records has announced they are expanding from their live music events into an independent record label, with a first release due Summer 2016. RY001 will be a ltd edition coloured vinyl 7″ from ’90’s alt rock legends Bivouac. The single will feature new track Sweet Heart Deal along with a reworking on a track from the band’s heyday Deep Blue Sea Surrounds. More details will be announced soon. Reckless Yes was founded at the start of 2016 by Peter Darrington (bassist in Cable and The Hudson Super 6, music journalist and broadcaster) and Sarah Lay (editor of Louder Than War – and boss here at Noble and Wild). They are running live music events including a bi-monthly DIY style night called Six Impossible Things and touring shows for band’s including Bivouac. The duo also DJ together. Pete said: “Launching Reckless Yes as a record label is exhilarating and it’s an honour to be starting our catalogue with a band I admire. Sarah said: “Bivouac have meant a lot to me and Pete, in different ways, over the years and so to work with them on the hometown show of their summer tour was a thrill in itself. We’re delighted to announce The Hudson Super 6 are joining the roster at Noble and Wild. 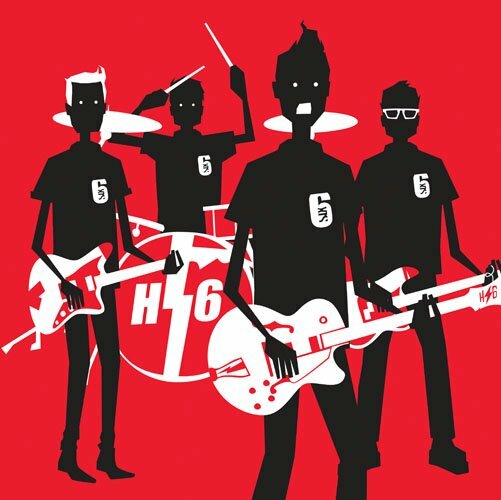 Formed out of the ashes of Cable, Iris and Scribble, The Hudson Super 6 have a great, dirty blues rock sound. They released their debut 7″ and mini album for Sumo Construction in 2005 and 2006 respectively. The band has also released a full length debut album, produced by Paul Tipler (Cable, StereoLab, IdleWild, 80s Matchbox, Earl Brutus etc), called “This Black Heart Beats Faster Than Yours”. The band are currently working toward their third album which will be released on the Ingue label. We’ll be working with the band on their social media and digital PR. You can see them live supporting Bivouac at their comeback, hometown gig in Derby on 16 June – more info on this gig here or get your tickets here. Netsounds has premiered Bentcousin’s cover of the Dinosaur Jr classic Freak Scene. The self-titled debut album is out on Friday 19 February via Team Love. Noble and Wild founder and boss Sarah Lay has been shortlisted in the Comms2Point0 Lifetime Achievement Award for her work across music PR, music journalism and also in digital communications. The award is now open to public vote – vote for Sarah here. Sarah has worked in both music journalism and digital communications for the last 15 years and the award recognises her success across both industries. She is currently editor of louderthanwar.com and associate editor of Louder Than War magazine as well as an influential digital content strategist in local government. Read more about her career here. At Noble and Wild Sarah brings together her experience from across both industries in order to support artists with their own communication and provide music PR and live promotion services. The public vote is open until 17 November and the winner will be announced on 3 December 2015. We hope all Noble and Wild clients past and present will support Sarah by voting. Vote for Sarah here. We’re really pleased to announce Noble and Wild will be working with one of our favourite record labels, Team Love Records, early next year. Team Love has released records by a whole load of artists we adore – Tilly & The Wall, Simone Felice, Jenny Lewis with The Watson Twins, Gruff Rhys, The Wave Pictures and Conor Oberst and The Mystic Valley Band (Conor also co-founded the label back in 2003). We’ll be working on the campaign around the first full-length album from a UK band on their roster and we’ll share more news about this later in the year. For now – enjoy a Team Love release that we <3 lots from another band from the label’s stable, Tilly & The Wall. 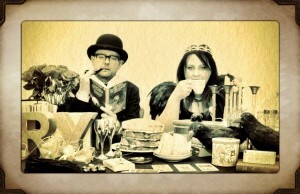 Find out more about Team Love on their website and follow them on Twitter. We’re working with Chris Helme on digital PR for his own music (or we will be soon at least) but last night Noble and Wild headed back to York to deliver a small gift to the open mic night he runs and we <3 big time. Once again the night and York’s musicians, and scene, surprised and delighted us. The herald of autumn is a chill in the air. The jacket gets pulled closer as a shiver runs through you. Tendrils of music and laughter, the promise of all kinds of warmth, reach up to the street and you find yourself at the top of a stair case flickering with candlelight, drawn down into Sotano. 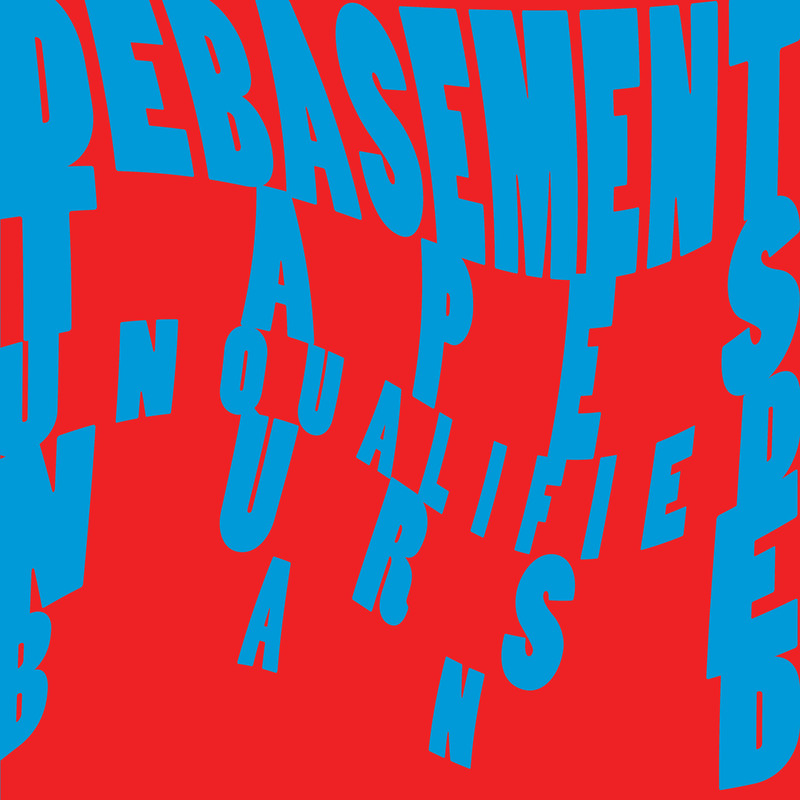 You don’t know it yet but tonight the basement bar is going to become a hands-aloft rave, a trip hop haven, a softly sung acoustic dream. Even when you enter alone as a stranger you will leave feeling as if you’ve been there always. For tonight is Ruby Tuesdays (with guest host Robert Loxley Hughes rather than your regular Chris Helme). The poster says it is an open mic and this is true, but it isn’t the whole of it. What you don’t know until you’ve made your way down those stairs into the colour of the sound is that Ruby Tuesdays is magic. It is the land at the top of the Faraway Tree – an ever-changing space shaped by the atmosphere conjured by who turns up to play, the way their vibes start to ripple back and forth. It can be an underground ‘60s soul club, or a warehouse party, or a psych-fuelled trip, a quietly nodding folk club. It can be one of them at a time or all of them at once. Tonight peppercorns are floating in the glass in front of me, little black spheres slowly spinning through a universe of pink gin and crushed ice. Candlelight flickers as I catch glimpses of the stage between the shifting silhouettes of the crowd. I’m watching as a didgeridoo is set up, a drummer shuffling in readiness beside it. If I’d known what was about to happen I would have braced myself, but the surprise is part of the magic down here. A didgeridoo can sound like an echo through time, it can sound like heat and space, it can resonate with you on an almost primal level. Or, I learn in the most wonderful way, it can sound like the Beastie Boys playing a warehouse party. The volume is not something you hear, it’s something you feel, inside. 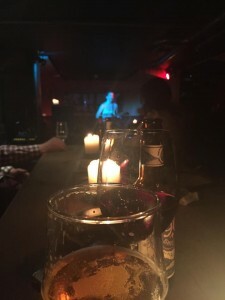 And the longer it goes on the more you are pulled into its bass rhythms, a euphoria spreading through the small crowd still packing out the bar, we whoop and holler at the end only to realise it’s not a stop but a drop and we’re about to be taken under with some loose and funky beats. Open mic? It doesn’t even come close to describing what this is. No doubt, this is magic. As is the trip hop and psych rock infused jam that happens with changing vocalists and a laid-back vibe. Or the strum of the ukelele and a Caitlin Rose cover. Or the flautist. Or the electric guitar and the blues growl. All of it magic of its own kind. And even when the crowd are shushed it is with respect not annoyance, it’s as much not wanting anyone to miss out on the music being made as needing to hear it for yourself. You do need to hear it for yourself. Everyone needs to find themselves drawn down those steps into the other world of Ruby Tuesdays, to know beyond doubt what the love of music feels like when it is all around you, to believe in magic. 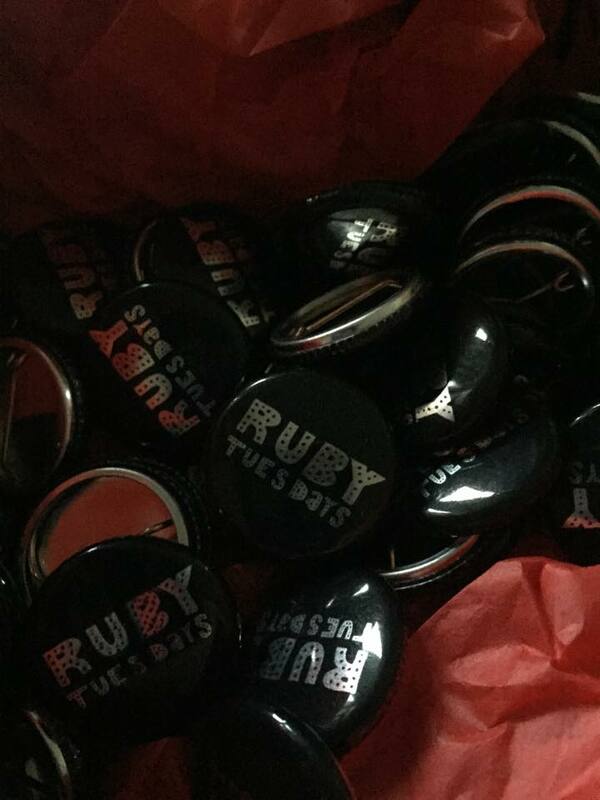 Ruby Tuesdays is at Sotano, Little Stonegate, York every Tuesday from 9pm until late. It’s free, there are drinks offer and all are welcome. Chris has some rather lovely badges (even if we do say so ourself) to give out if you wanna take a piece of magic away with you. Follow Ruby Tuesdays on Twitter and Facebook. For Chris’ music you can check out his website or follow him on Twitter and Facebook.